Over 300 children from 25 CBOP Schools took part in the annual CBOP Swimming Sports event this week. 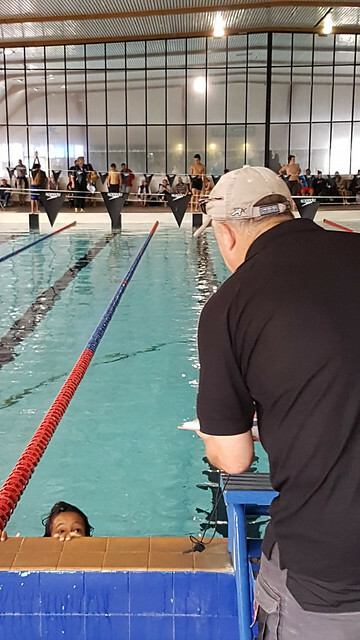 Swimmers had the option of competing in a number of competitive events including 50m and 100m across all 4 swim strokes of Breaststroke, Butterfly, Backstroke and Freestyle and then there were the 25m Novice events for those swimmers that may be beginners or new to swimming. Schools also entered a number of teams in the popular relay events. A big thank you to the team from Swim Rotorua who ran the event on the day, they had a huge number of volunteers on the ground ensuring the event ran smoothly. Well done to all those who took part.